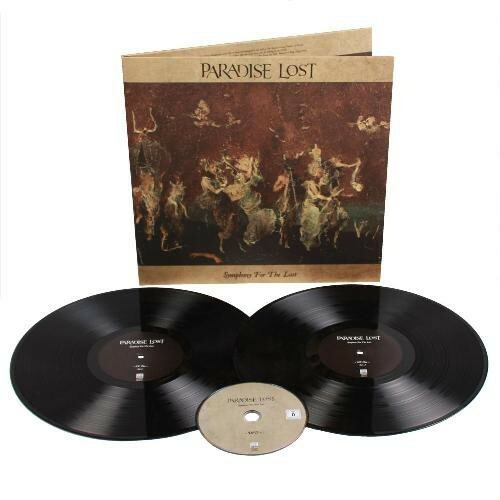 PARADISE LOST - SYMPHONY FOR THE LOST VINYL (2LP BLACK+DVD) | Online Shop | Wizard LTD. Album: "SYMPHONY FOR THE LOST VINYL (2LP BLACK+DVD)"
The perfect Christmas gift for every gothic metal fan! After the success of their 2015 album “The Plague Within”, which charted at # 7 in Germany and in 10 European countries, genre leaders PARADISE LOST now present all their classics recorded live at The Ancient Roman Theatre of Philippopolis in Plovdiv, Bulgaria featuring the Orchestra of State Opera Plovdiv and Rodna Pesen Choir. Vocalist Nick Holmes states: "We have recorded elements of orchestration many times in the studio over the last two decades, as many of our songs lend themselves well to classical arrangement. However, we have never before had the chance to play with a real orchestra in a live situation, so it was very exciting to have the opportunity to play with the Plovdiv Philharmonic and doing that in such a prestigious location as the Roman theatre." Orchestrated by conductor Levon Manukyan, who already has given the classical treatment to works by Marilyn Manson, Alice Cooper, Nirvana, Judas Priest, and many more as well as collaborating with Tarja Turunen (ex-Nightwish) and other prestigious soloists, “Symphony For The Lost” not only presents classic and current PARADISE LOST songs in an astonishing musical fashion, but also an impressive visual setting.